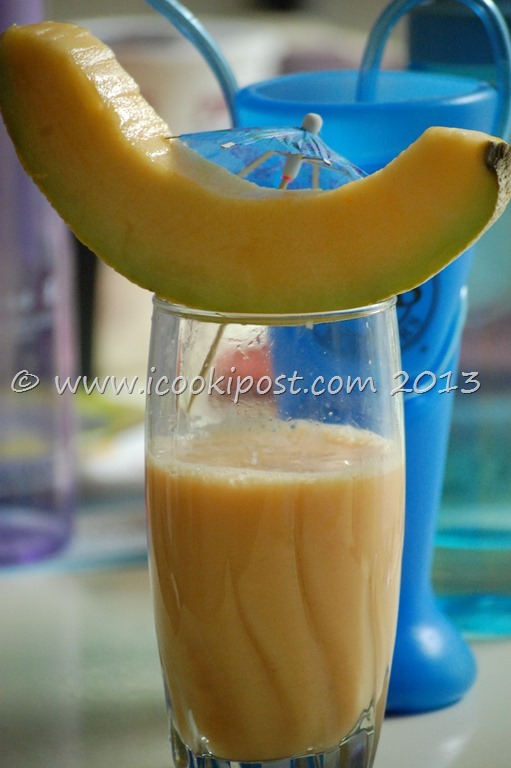 Cantaloupe is the most popular variety of Melon in United States.This smoothie can be prepared using muskmelon and watermelon. The good thing about home made smoothies is that they contain no artificial flavors, colors or preservatives. So Next time, when you have few fruits left in your fruit bowl at the end of the week, try making a delicious and healthy smoothie for your family. In a blender,blend yogurt with cantaloupe and watermelon chunks until smooth. Add ice cubes to it and blend it until smooth . 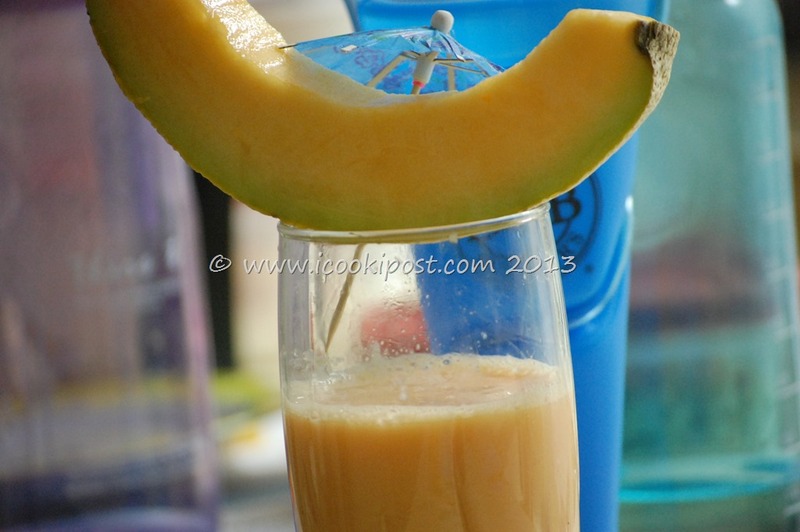 Pour the mix into glasses and decorate with wedges of melon.